The conduct of the 2019 presidential election in the country is less than three months from now. Specifically, the election will be held on Saturday, February 16 next year, going by the timetable released by the Independent National Electoral Commission, INEC. The Prof Mahmood Yakubu-led Independent National Electoral Commission (INEC) has already scheduled the 2019 Presidential and National Assembly elections for Saturday, February 16, while the Governorship and State Assembly/Federal Capital Territory (FCT) Council elections have been fixed for Saturday, March 2, 2019. President Muhammadu Buhari, who is of the All Progressives Congress, APC; a former Vice President between 1999 and 2007, Alhaji Atiku Abubakar of the Peoples Democratic Party, PDP; former Governor of Cross River state, Donald Duke of the Social Democratic Party, SDP; and Gbenga Olawepo-Hashim of the Alliance for New Nigeria, ANN. Habib Mohammed Gajo – Young Democratic Party, YDP. Also in the presidential race are; John Gbor – All Progressives Grand Alliance, APGA; Davidson Isibor Akhimien – Grassroots Development Party of Nigeria, GDPN; Ali Soyode – Yes Electorate Solidarity, YES Party; Ike Keke – New Nigerian Peoples Party, NNPP; Sunday Chukwu-Eguzolugo – Justice Must Prevail Party, JMPP; Eunice Atuejide – National Interest Party, NIP; Hamisu Santuraki – Mega Party of Nigeria, MPN; Edozie Madu – Independent Democrat Party, IDP; Peter Nwangwu – We the People of Nigeria Party, WPNP; and Ahmed Bee Buhari – Sustainable National Party, SNP. The list of the presidential flag bearers also includes; Tope Fasua – Abundant Nigeria Renewal Party, ANRP; Ade Fagbenro Bryon – Kowa Party; Moses Shipi – All Blending Party, ABP; Yahaya Ndu – African Renaissance Party, ARP; Chuks Nwachukwu – All Grassroots Alliance. AGA; Habu Aminchi – Peoples Democratic Movement, PDM; Yabagi Yusuf Sani – Action Democratic Party, ADP and Babatunde Ademola – Nigeria Community Movement Party, NCMP among others. Out of these presidential candidates, two of them, without any fear of contradiction, stand out. They are President Muhammadu Buhari and Alhaji Atiku Abubakar of the APC and PDP respectively. Their names are on the lips of majority of Nigerians. Their names are being mentioned in virtually all quarters. The two have already released their plans of action detailing how they intend to govern/rule the country if given the presidential mandate at the 2019 presidential election. Most political observers, analysts and pundits have, indeed, come to the conclusion that next year’s presidential poll is going to be a two-horse race between the duo. A majority of the remaining candidates are seen, in some quarters, as merely contesting for the sake of getting/seeking for more political recognition/relevance and not necessarily contesting to win. Some are even regarded as political jesters. What therefore are the major issues that would determine how electorate will votes in 2019? What are the factors that will work to the advantages or disadvantages of each of the two leading presidential candidates- Buhari and Atiku? How will the votes go in each of the six geo-political zones in the country? Who are the political power brokers that will woo the voters and attract the votes for these two major presidential flagbearers? The North- West geo-political zone, where President Buhari comes from; going by information from INEC, has the highest number of registered voters of about 18,505,984 as at early this year. The buck of the votes here are, traditionally, expected to go to the President. All the governors in the zone, except that of Sokoto, Hon Aminu Waziri Tambuwal who recently defected to the PDP, are ordinarily expected to hold the zone safe and tight for the president. 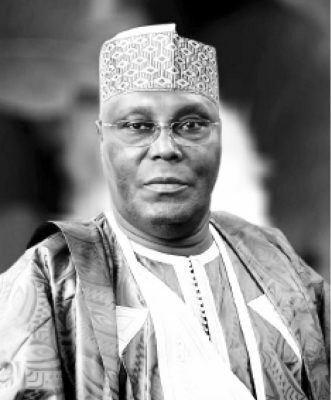 Nevertheless, Atiku, who is a fellow Northerner, Fulani and Muslim just like Buhari , will no doubt garner some votes in the zone based on the political bridges he has built over the years as well as the relationship he has established. has a total registered voters of about 9,929,015. The PDP presidential candidate is expected to have a good showing in the zone. States like Taraba and Gombe, which are in the zone and are under the control of PDP, will logically work for him. The effort of Buhari led federal government in helping to fight the Boko Haram insurgency that have been ravaging the status of Borno, Yobe and Adanawa to a greater extent, is expected to serve as a plus for the president in the zone by attracting votes to him. In the North Central which has a total registered voters of 10,586,965, the political battle will be fierce between them. They are going to fight almost equally for the zone. While Buhari will likely control the political souls states such as Kogi, Nasarawa, Plateau, Atiku is more like to fly higher in Benue, Kwara and Niger. It’s believed, in some sections , that the federal government’s response to the issue of farmers/herdsmen crisis in some states in the zone was not tidy and swift enough. While the President is more likely to do well by getting votes in the South West where the National Leader of the APC, Asiwaju Bola Ahmed Tinubu commands a lot of influence and with all the states in the zone under the firm control 3of the party, the same cannot be said of the South East and South South regions. The choice of Mr Peter Obi, a two-tern governor of Anambra State, as the running mate to Atiku and his (Atiku’s) recent endorsement by Igbo political leaders, are few of the reasons why the PDP presidential candidate is favored to have a good showing in the South East zone. Most of the States in the zone as well as in South-South are elected on the platform of PDP. This will be a big boost for Atiku. The influence of former President Goodluck Jonathan, Governors Nyeson Wike of Rivers, Ifeanyi Okowa of Delta, Prof Ben Ayade of Cross Rivers, Seriake Dickson of Bayelsa and Udom Gabriel of Akwa Ibom will also be a very big boost for the former Vice President in oil rich region of Niger Delta. The South-East has 8,293,093 . registered voters, while that of South-West is 14,626,800 with the South-South accounting for 11,101,093. The recent endorsement of Atiku by former President Olusegun Obasanjo is considered a very big boost for him. The continued incarceration of the leader of the Shiite movement, El-Yakubu Ibrahim El-zakzaki and former National Security Adviser to Dr Goodluck Jonathan, Colonel Sambo Dasuki, despite rulings of some courts to the contrary, may affect Buhari’s votes from the supporters of these two men. El-Zakzaki is known to have supporters across the entire Northern region and some parts of the South. The electorate will utmately determine who wins the presidential election in February, regardless of the permutations of political analysts. President Muhammadu Buhari has already vowed to ensure violence free campaign and free, fair and credible 2019 elections. It is hoped, indeed, that the promise will be kept. The Sultan of Sokoto, Alhaji Sa’ad Abubakar III, has urged Nigerians to hold President Muhammadu Buhari to his words on the conduct of a free, fair and credible general elections in 2019. Abubakar made the statement at the 2018 Second General Meeting of Nigeria Inter-Religious Council (NIREC), youths wings summit held on Saturday. According to the Sultan, “President Muhammadu Buhari has vowed to ensure violence free campaign and free, fair and credible 2019 elections. So we will hold him to his words,” . He said that Nigerians should take a stand and not to be used by politicians and other stakeholders to cause violence especially during the forthcoming general elections. Abubakar said that the second summit came at the time Nigeria had been politicised by the political class and that there was the need to sit as a family irrespective of their various religious convictions. He advised Nigerians to unite, adding that the summit is aimed at contributing to peaceful participation of inter religious groups on the 2019 election. The sultan called on the youths not to allow themselves to be used by politicians to instigate violence of any kind.